Write-on dividers are made of durable, translucent plastic for frequent reference in similarly sized binders and planners. Seven-hole punched edge makes them ready to insert. Customize entire divider using a ballpoint pen or pencil. To reuse, just erase and write on again. 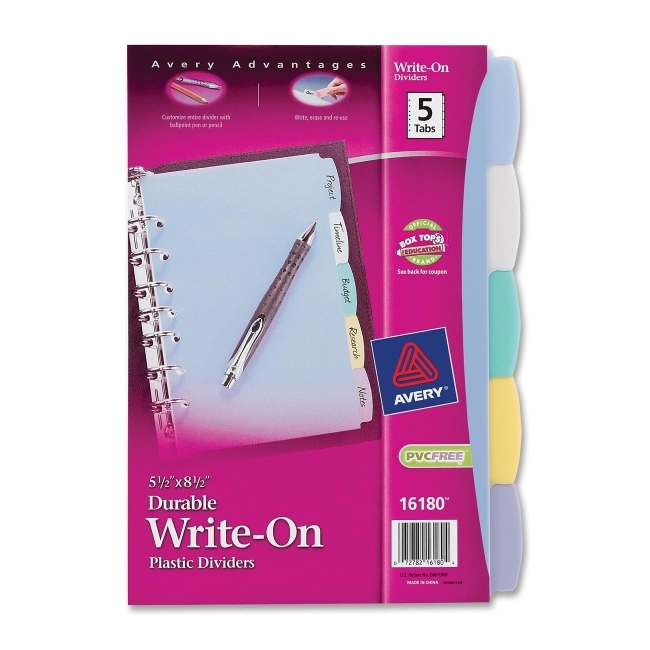 Dividers are translucent and come in assorted colors. Stylish, big tabs offer 50 percent more writing space than standard tabs. Plastic is PVC-free.